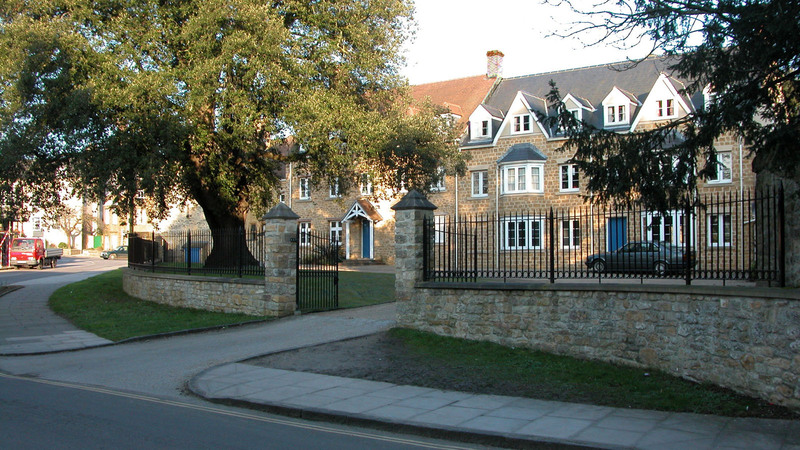 The Green was one of four boarding houses which we extended and refurbished. 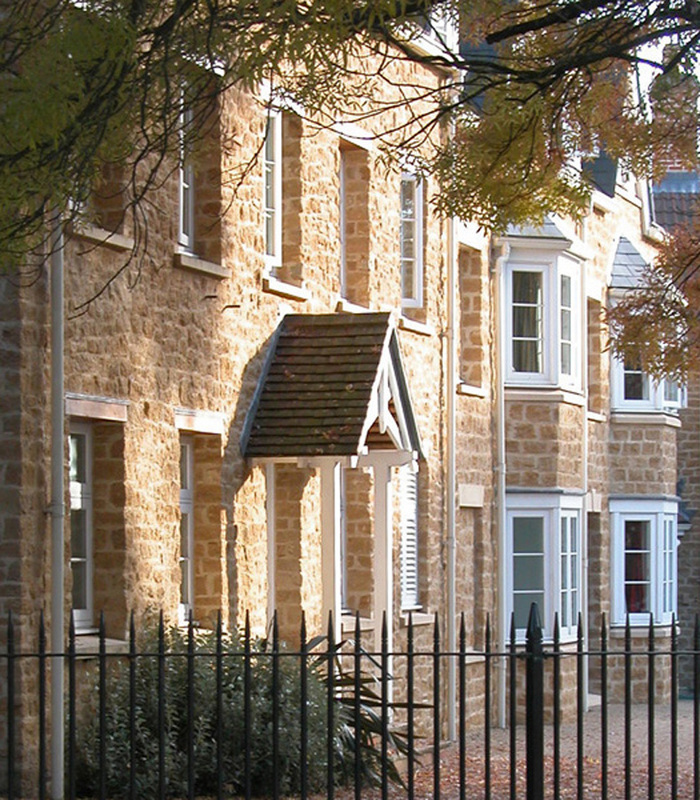 All of the houses are in the historic core of Sherborne. 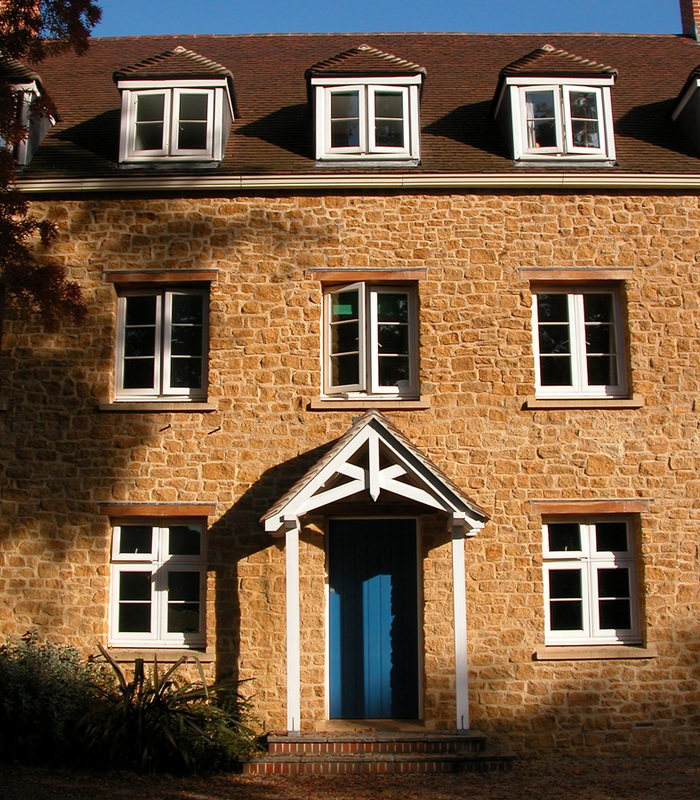 They are constructed in the local Ham stone and are listed grade II or II*. At the Green we took great care to preserve a large holm oak and this remained an impressive feature in a new open space in the town. The facades echo the architecture of the town and make use of the local stone. One of NBW’s sketches that were used for planning and listed building consent applications is shown below.